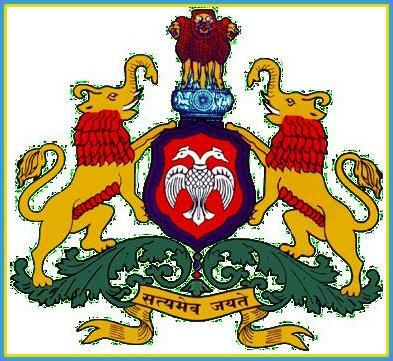 Dates: Karnataka PGCET 2019 Results will be announced on the official website on 19th August 2019. Result Format: KEA releases the results in the form of merit list/ rank list, having names of all the PGCET qualifiers. Answer Key: Karnataka PGCET 2019 Answer key will be released within 3 days of conducting the exam by the authorities of the state. Merit List: PGCET Merit list will be solely be based on the marks obtained in the written exam i.e. 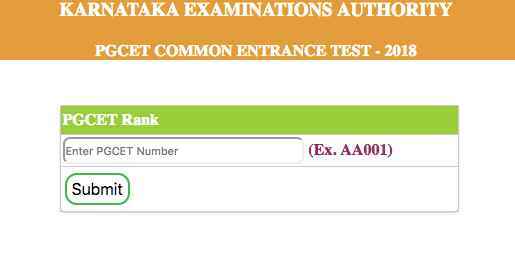 Karnataka Post Graduate Common Entrance Test. The merit list will be prepared separately for MBA, MCA, ME / M.Tech / M.Arch. Step 1: Visit the official website i.e. http://kea.kar.nic.in/. Step 3: Enter the Application Number and Date of Birth to view the Result. Step 4: Click on "Submit" to get Karnataka PGCET 2019 Results. Step 5: The result will be displayed in the form of scorecard, where candidates can download for future reference. Karnataka PGCET 2019 Answer key will be released within 3 days of conducting the exam by the authorities of the state. Students can use this answer key to estimate a rough score by cross-checking their answers with it. Step 3: Choose the appropriate set of answer key according to the course. Step 4: Download it and cross-examine the answers to arrive at a rough score in. Merit List: The merit of the candidates, who appears for Post Graduate Common Entrance Test 2019 for MBA and MCA Courses, will be determined separately for each course only on the basis of marks obtained by candidates in the Post Graduate Common Entrance Test 2019. Tie Break: Provided that where the merit of two or more candidates is the same, the interse merit shall be determined with reference to the total aggregate marks obtained in the Qualifying examination and where marks obtained are equal again, the interse merit shall be determined on the basis of the age of the candidate, wherein the elder candidate will be considered before the younger. GATE Candidates: Merit in respect of GATE candidates shall be determined on the basis of valid GATE score. Sponsored Candidates: Merit in respect of Sponsored candidates shall be determined in the following order of preference namely. Candidates employed in State Government Institutions/ Organisations. Candidates employed in Public Sector/ Aided Institutions. Candidates employed in Private Institutions/ Private Sector Organisations. In case of all non-GATE candidates belonging to different categories merit shall be determined on the basis of marks secured by them in the PGCET 2019. No age limit is prescribed for sponsored candidates. However, while allotting seat persons below 45 years of age will be preferred. In the event of his/ her quitting service from sponsoring institutions, a candidate automatically loses seats allotted under sponsored category. The cutoff ranks for 2018 and for earlier years for all discipline college wise, course wise and category wise is hosted on the KEA website http://kea.kar.nic.in. The cut off rank shows the name of the college, course, category and the last rank in the particular college for a particular course during 2018. The cutoff rank is only for the information of the students and no inference shall be drawn on the availability of seat college wise and course wise for the year 2018. The cutoff ranks give a fair idea about the last rank under each category admitted to a particular college/ course during the previous year. Do not exercise your options based on cut-off ranks. The options should be exercised purely based on the candidate interest for college/course because cut-off ranks will not be same every year. Candidate should make sure that he/she has not missed out any college/course he/she wishes to take admission and the same is ordered according to the priority. Do I have to enter my application number to access the Karnataka PGCET results? Yes, candidates have to enter their application number to access the Karnataka PGCET results. How do I check my PGCET 2017 result? Click on "Submit" to view PGCET Results. Where will the PGCET results be displayed? The candidates can avail their PGCET 2017 Results on the Official Website. May I know the stepwise process of Checking PGCET 2017 result? Can I get a detailed info about Results of PGCET 2017? The PGCET 2017 results will be announced on 17 July.